Our Orca killer whales and Chinook salmon represent the environmental legacy of our region. Their health and viability are important measures of the quality of our environmental stewardship of the region. And sadly both are in decline. The populations of Chinook salmon and SRKW orcas are intertwined, since large Chinook salmon are a primary component of the Orca diet. Documentation of a reduced Chinook salmon population is found in the Pacific Fishery Management Council annual report). 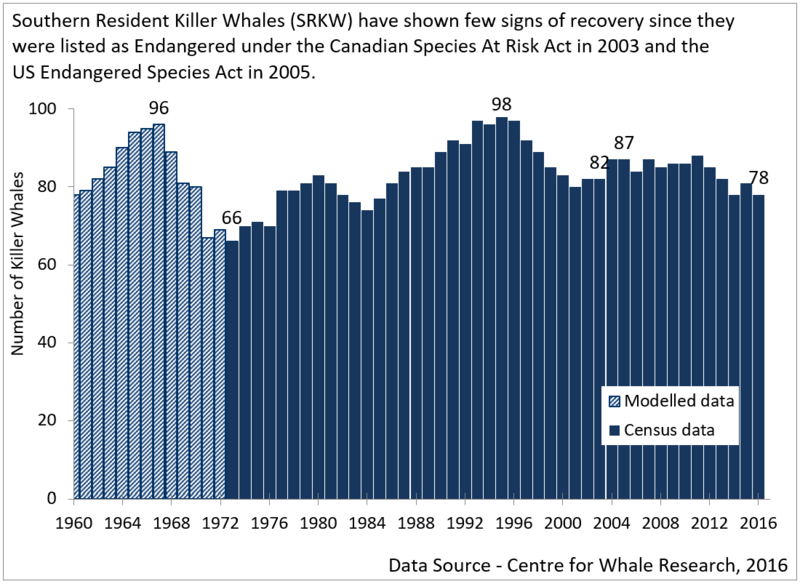 And as noted in a number of recent stories, the Orca population is declining, with currently only 75 members remaining of the Southern Resident Killer Whale (SRKW) group that visit Puget Sound. Not an historic low, but a substantial decline since the late 1990s. Politicians and the media, such as the Seattle Times, have given a lot of attention to the declining Chinook/Orca population and have highlighted a number of causes from noisy boats, overfishing, and salmon-blocking dams, to the effects of the BLOB and global warming. But strangely, these public accounts have not described what may be an important reason for the decline of the Chinook and thus the Orcas, the profound degradation of the coastal environment caused by the large regional shellfish industry. A shellfish industry that has turned our coastal zones into industrial-scale farming operations for growing non-native shellfish species. A shellfish industry that is spraying pesticides and herbicides over our coastal zone, killing native species such as burrowing shrimp, and denuding the coastal zone of grasses that serve as nurseries for young Chinook salmon and help feed our shorebirds. A shellfish industry that has physically disturbed our shorelines and dispersed plastics and other foreign materials. As will be described below, there is good reason to believe that the degradation of our coastal ecology by the shellfish industry has undermined the Chinook salmon population and thus harmed the food source of the Orcas. 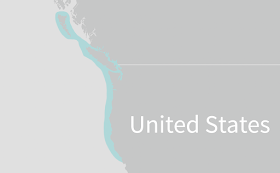 Although our Orca population spends much of summer and fall in our local waters (the Salish Sea), they range from Monterey, CA to southeast Alaska during the winter and spring (see below). 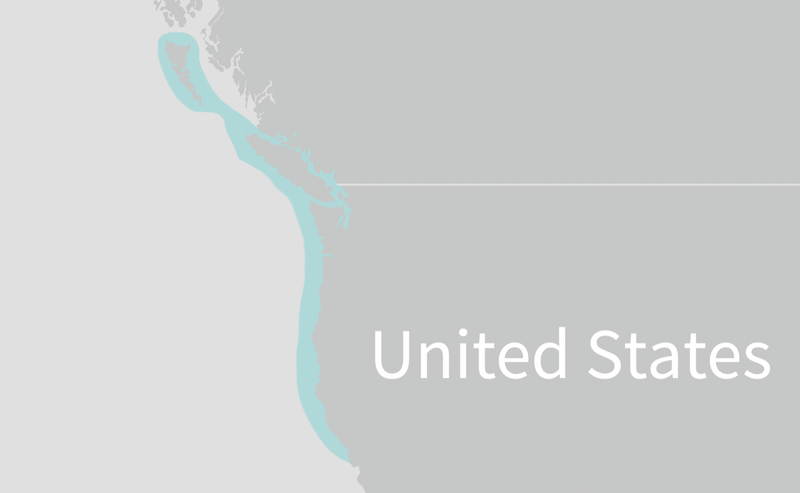 Thus, food availability in nearby locations, such as Willapa Bay, is important. Aquatic coastal grasses, such as eelgrass, play an essential role for fostering Chinook salmon. There is a deep literature documenting the importance of such grasses for supporting juvenile salmon (examples here and here). Young Chinook salmon make use of eelgrass to hide from predators, and to rest and feed while on their migration from freshwater to the sea. 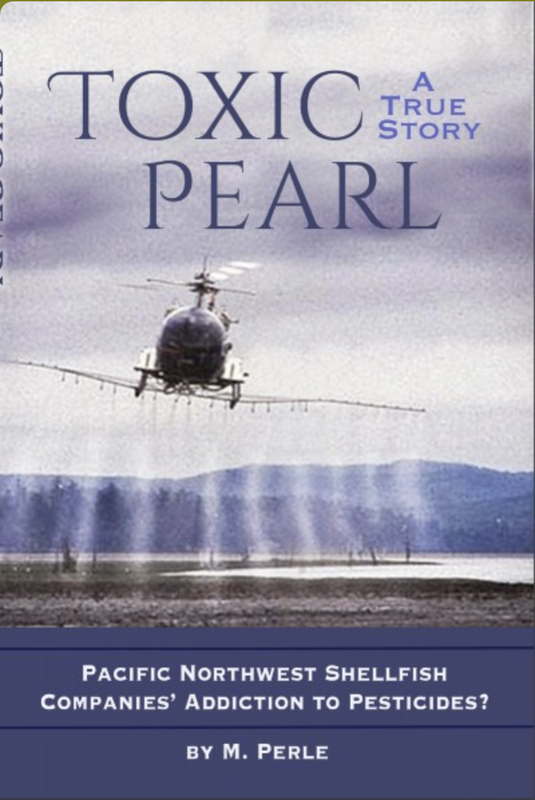 The shellfish industry finds that aquatic grasses are a hindrance to their non-native shellfish operations and thus have sprayed herbicides on a massive scale over coastal areas such as Willapa Bay. And they have done this with the support of the Inslee administration. Stunningly, two members of the governor's Orcas taskforce, Department of Fish & Wildlife Director Phil Anderson and State Representative Brian Blake, pushed through approvals to allow the shellfish industry to kill Willapa Bay eelgrasses with the herbicide imazamox from 2011 to 2014. Large scale spraying began in 2014 under a five-year permit. Applied without state monitoring, and spreading throughout the bay at lethal toxicities, most eelgrass is gone from this coastal estuary, home to iconic Pacific Northwest species including including Chinook salmon, Chum and Coho, herring, eulachon, steelhead, cutthroat trout, sturgeon and migratory waterfowl. Salmon populations and migratory duck and geese levels have plummeted. In 2018, zero spawning Chinook were found in the Bear River, tributary to Willapa Bay. 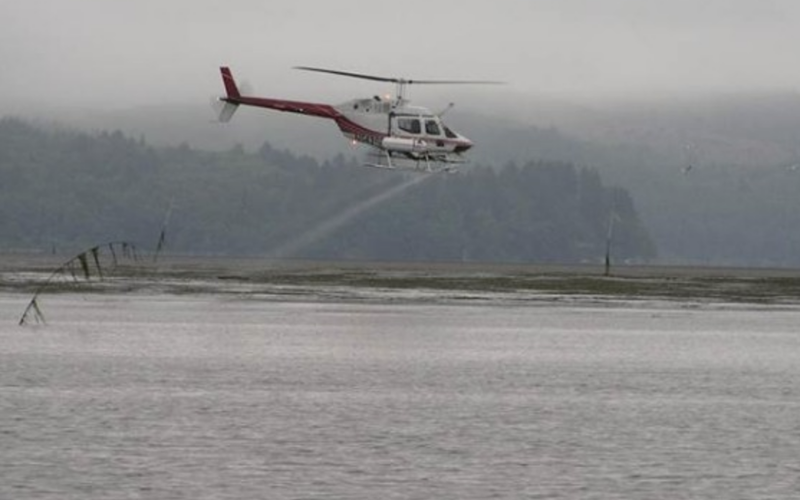 The significant and likely permanent loss of Willapa Bay eelgrasses is very likely a cause. So we have the shellfish industry destroying critical habitat for Chinook salmon, the key food source of Orcas. This has to stop. And it is extraordinarily disturbing that the current state administration is doing nothing to deal with the problem. Or that some of the media has not taken the time to examine this issue. Finally, let me note that the local shellfish industry is also pushing to spread a neurotoxin, imidacloprid, over Willapa Bay and Grays Harbor to kill native burrowing shrimp, an important food source of a number of native species (such as sturgeon and gray whales). And again, they appear to have the support of those in the Governor's office. 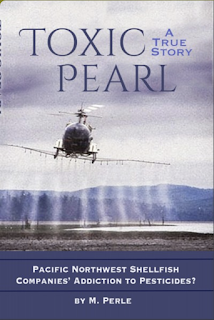 Let me end by noting that there is an excellent new book that describes the profound negative impacts of the shellfish industry on our coastal areas: Toxic Pearl. This book is available online (Orca Books, Amazon) and in many local bookstores. Anyone worried about our local environmental, Chinook and Orcas should read it. And then contact your state representatives and the governor to demand the end of spraying herbicides and pesticides over our state waters. Thank you for writing about this critical issue. I had no idea. This needs to be made public in a large scale. 63.3F this afternoon in NW Bellingham. Warmest reading since last October! Fundamentally, you need to get folks in the SRKW community engaged. Also, NGOs such as the National Resource Defense Council, who make a habit of suing corporations and the government for violation of the MMPA and ESA. If you've got proof of the chain above, ping me for some intros. Commerce is important, but not at the expense of priceless species and their habitat! Common sense should tell us if we obliterate what makes the pacific northwest unique and life giving to our citizens and visitors, then we are playing a losing game for the majority. The richness of our area requires safekeeping. The shellfish industry needs our elected government's defined boundaries to ensure they do not deliberately and/or inadvertently build their natural and financial resources to the point of harming or destroying the level of citizens' interests in the wealth of pacific northwest natural resources such as salmon, orcas and their habitat. Our citizenry needs to be educated about these issues via the press. It is likely the public would rise up and demand government officials ensure adequate protection in this situation and others. It seems we have been caught off guard by the dangers of members of government representing the shellfish industry. Now is the time to focus on these issues and ensure government does not support further harm to be allowed. In fact, the shellfish industry should be responsible for rebuilding the habitat that has been harmed. Private, public and government stewardship must become a priority in these matters. Let us identify leaders who will do the work necessary to support this cause, support them publicly. A for profit enterprise will always hire lobbyists to influence government decision makers to provide advantage to their enterprise. However, the public must require of our government representatives to pass legislation eliminating practices causing harm to our regions wealth of natural resources. Then, it is up to the industry to find alternate, non-harmful innovation to increase their growth and profits rather than taking and destroying what belongs to the people of the pacific northwest. Cliff does a lovely job of communicating the issues simply and clearly. Now that we know more than we did, let's write and call our government representatives to communicate what the will of the people requires from them--to protect the habitat for salmon and the orcas' food source by stopping the shellfish industry from using herbicides and pesticides. Most people want their children and grandchildren to experience the riches of the northwest as much as possible in the future. https://ecology.wa.gov/Regulations-Permits/Permits-certifications/Aquatic-pesticide-permits/Burrowing-shrimp-control-Imidacloprid This seems to be the latest word from the Wa State Dept of Ecology on the request to use Imidacloprid at Willapa Bay. Thanks for alerting the many readers of your blog to this massive poisoning of coastal marine ecosystems in the Pacific Northwest. 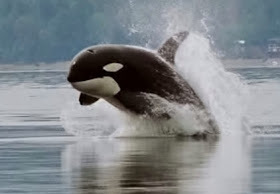 But, as usual, it's a charismatic megafauna (in this case, the Orcas) that are the focus of most people's attention and concern, rather than the myriad marine plants and animals that constitute these living environments, which are directly, or indirectly, impacted by the spraying. I think we should be at least equally, if not more, concerned about the fate of the complex web of living organisms that comprise the Pacific Northwest coastal environments as we are about a single (albeit charismatic) species. It's certainly OK to justifying banning this spraying based on its ultimate impact on Orcas, but why not argue against this poisoning simply because of its deleterious effects on this natural environment as a whole. Nothing too shocking here with the Gov. He will just say, if asked about it, whale/salmon decline is because of global warming and we must pay more taxes to counter the whale/salmon decline. RG Stout has it right. Thanks to Cliff for raising the issue. Does anyone know if the same destructive strategies are used for geoduck farming? I had always thought of geoducks as a relatively benign thing to cultivate, but if it involves spraying a bunch of chemicals in/near the water then I will have to revise my thinking. The aquaculture industry has shown a total disrespect for the habitat supporting other marine life. Physically removing all other marine life that might compete with Geoduck and their ability to grow geoduck at unnatural densities to maximize profit. Displacing eelgrass, unauthorized use of pesticides and herbicides, then harvesting using hydraulic hoses fully disturbing the benthic sediment and the food chain that it supports..
32F this morning in NW Bellingham. James ... Regarding geoduck aquaculture, there is an additional threat to the food web that ultimately impacts resident orcas. There is a forage fish called the sand lance that is critical to chinook salmon. Adult Chinook diets that can contain over 50% sand lance and juvenile chinook salmon depend on sand lance for 60% of their diet (Ref. WA State Department of Ecology and Haida Fisheries Program). Since the primary food source of the resident Orca is Chinook Salmon, it goes without saying that the health of the Orca is dependent on a robust and thriving sand lance population. Where does geoduck aquaculture enter the equation? Geoduck aquaculture requires a beach morphology that are allows the insertion of PVC tubes so sandy or fine gravel is ideal. “Sand lance spawn on mixed sand and gravel beaches between the elevation of mean high tide and mean tide. They are obligate intertidal spawners, which means that if their preferred habitat is unavailable, they cannot spawn successfully elsewhere” (ref. Shore Stewards, Washington State University). The location sand lance spawning and geoduck aquaculture almost always overlap. There is a growing body of research that suggests these overlapping activities do not play well together. For example, “Since it is plausible that geoducks will compete for prey resources (particularly in sheltered bays and coves and when they are planted in high densities) and dominate as a consumer of the local food web, and then you must assume that juvenile salmonids and forage fish will have less to eat which will lower their growth and survival. (Ref. USFWS NWP48 Consultation). Also, research by Daniel E. Penttila, Salish Sea Biological, and a 38-year forage fish expert with the Washington Department of Fisheries/Fish and Wildlife suggests that the geoduck can also ingest the sand lance at their larval stage. I am fisheries biologist with a major focus on Chinook salmon. I am a colleague of the authors of one of the papers you cited. However I am speaking in my personal capacity, and not my official capacity. I am merely stating my qualifications so that you understand my perspective in the following comments. While I don't disagree that eelgrass is important salmon habitat, and that, in general, herbicides and healthy natural aquatic ecosystems are generally inconsistent with one another, you are most certainly making stronger claims than are supported by the science in this blog post. Given that you often make a habit of admonishing "the media" for overstated claims (blogs are media by the way), I thought it important to point out that in this instance you yourself are guilty of the same behavior. I am not writing in defense of spraying herbicides in coastal ecosystems, but I am writing in defense of accurate scientific reporting. In particular, the claim that "The significant and likely permanent loss of Willapa Bay eelgrasses is very likely the cause [of observing zero Chinook salmon in Bear River in 2018]" is unsupported by the science. Chinook salmon numbers in 2018 were low throughout the west Coast. The primary cause of this was the lingering effect of poor ocean conditions associated with "the blob." I don't know where you are getting your data that zero Chinook salmon were observed spawning in Bear River, as WDFW's data only goes through 2017. Furthermore, the importance of eelgrass to Chinook salmon is not as well-studied or well-known as you posit. Rubin et al. (the paper you linked to) provide a good summary of the state of the science: "Semmens (2008) found that in a large estuarine enclosure, Chinook Salmon spent more time in eelgrass than in other structured habitats (oyster beds, nonnative eel grass, and smooth cordgrass) or bare sand–mudflats, apparently in response to high avian predation risk. In contrast, Murphy et al. (2000), Johnson et al. (2003), Hosack et al. (2006), and Dumbauld et al. (2015) did not find Chinook Salmon to be more abundant in net catches from eelgrass than from other habitats. Kennedy et al. (2018) demonstrated that eelgrass-associated invertebrates, primarily harpacticoid copepods, dominated juvenile Chinook Salmon diets in May. In contrast, Dumbauld et al. (2015) found that juvenile Chinook Salmon diets during June–August were dominated by terrestrial insects and pelagic zooplankton rather than prey associated with benthic habitats. Eelgrass growing on the outer margins of large river deltas may be particularly important to salmon because it forms extensive meadows in this setting (Mumford 2007) and is the first eelgrass encountered by out-migrating juveniles. Hodgson et al. (2016) found that such eelgrass continued to support high abundances of juvenile Chinook Salmon in July and August, after they had mostly vacated other nearshore habitats." So, there are studies with inconsistent conclusions, but that river delta eelgrass is probably the most important. That DOES NOT mean it is unimportant to Chinook salmon, it means we don't know. By all means, please express your concerns with spraying herbicides to policymakers. However, I would ask that you, Cliff, the person who often lectures others for what you perceive as inaccurate and alarmist reporting of science, please refrain from doing the same regarding fisheries science. Eel grass is a nursery for herring also. Dungeness Crab love eel grass too. A staple of Chinook salmon dining. There are so many reasons the Orcas and Chinook are declining. I had no idea that our Governor has allowed this spraying. I come to your blog to learn about the weather and then there are these great blogs raising awareness to other ecological issues in our beautiful state. Thanks Cliff - very insightful (& disturbing). My take is that commercial fishing, native fishing, shellfish farming, etc. (US & Canadia) will never be stopped or substantially reduced thereby allowing the salmon and SRKW to have the chance to recover. Perhaps - if we were serious - we could make those industries whole re: current profits. That's a committed investment. Or, perhaps like the spotted owl, we could enforce stoppage and wipe out businesses and communities while in the pursuit a greater societal good. Looking at our environmentally-focus governor (now full-time Presidential candidate): WA passed a law requiring adoption of electric vehicles unless impractical. NY just release a report showing that this is not only optimal for the environment, but saves tons of money for them. WA has done essentially nothing re: this mandated change. If Jay is not going to even pursue legal obligations imposed by WA in the pursuit of his greatest concern, what hope do the salmon and SRKW have?? I will keep reading, hoping, and not ever buying salmon or shellfish, but am pretty sure nothing will substantively change. HB1611 / SB5626 – Willapa Bay pesticide – in Approps and Ways&Means – authorize use of imidacloprid NPDES permit delegate to Dept of Ag and transfers powers. Sierra Club saying dead. I really appreciate your measured, fact-based analysis. Thank you for the valued input and thanks to Cliff for posting a much-needed critique! Thank you WEB, I am sad to hear that geoduck farming is detrimental but I'm glad to be better informed than I was. A puzzling bit of politics to me was all the upset about logging (and where I lived for 40 years commercial logging was near total, the only thing that stopped them was they ran out of trees. Yet the destruction of salmon has caused relatively little political opposition. I remember fishing in the 40s with my dad in Hood Canal. Seabeck had two large rental operations with smaller fishing boats and outboards. We were told how good the fishing was in the 'old days'. But still there were some salmon. Now no fishing to speak of in the canal. In 1965 when I moved back to the coast I would go to Ilwaco once a year on charter boats. There were salmon, but not all that many. Still the parking lot was mobbed with cars and campers. Motels were full. The marina was packed with charter boats. But we were told how good the fishing was in the 'old days'. Now very few charters, campers, and motels are filled with vacationers, not fishermen. Ditto West Port and et cetera. There is no beef, no outrage, and no salmon. I do have a few friends and relatives who do fairly well fishing, but no where like the 40s, or even the 60s. The number of people who made money from the fishing industry have just dried up. Missing@random: If Chinook biologist bothered checked with WDFW Salmon manager, he would have found out zero Chinook in Bear River for 2018 is known. Research, then lecture, highly recommended. RG Stout: Good point. But many objected to the poisoning of the lowly native burrowing shrimp for DECADES--one of which is almost extinct. Nada. 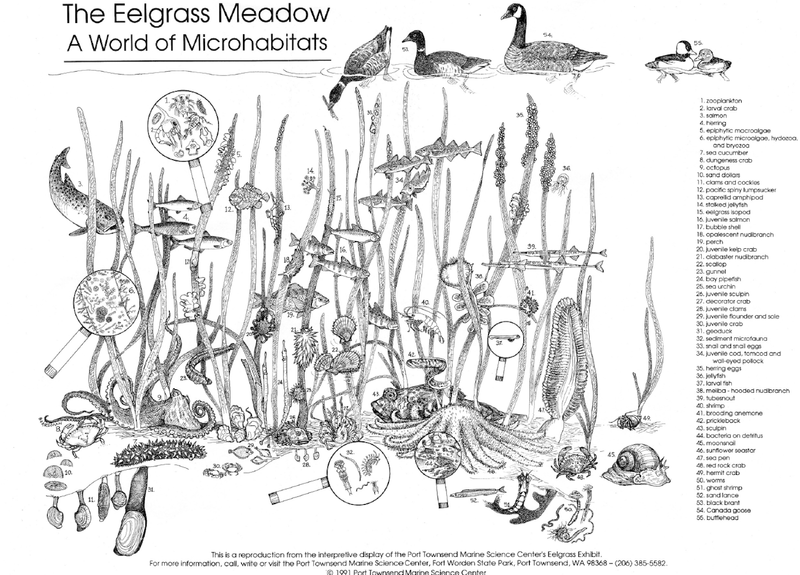 Many objected to poisoning the eelgrass. Nada. Many now object to destroying same animals/habitat but can now link these to the charismatic orca and Governor Inslee. Whatever it takes to get people to pay attention. A large part of the problem is that we are not getting this story from the Seattle Times, or their award winning shellfish writer. Willapa Bay and Grays Harbor, should be allowed to be home to native wildlife, so that these animals can prosper. This is where they belong. Just imagine what it could be!! They have no other choice. Get those non-native and invasive shellfish out of our waters. These companies don't need welfare or any more public subsidy that has allowed them to amass large fortunes and political power. Enough is enough. "https://ecology.wa.gov/Regulations-Permits/Permits-certifications/Aquatic-pesticide-permits/Burrowing-shrimp-control-Imidacloprid This seems to be the latest word from the Wa State Dept of Ecology on the request to use Imidacloprid at Willapa Bay." If only that were the case. A) these guys have appealed the denial to a Governor-appointed board...which has never once approved a citizen appeal of these permits in the past. Hearing to start September 9. B) FWIW, Ecology approved this permit on April 16, 2015, but along with these sprayers, pulled it after Danny Westneat and Bill Donahue wrote about it, much publicity. Now, that permit approval has mysteriously disappeared...Ecology now says they never issued it. Would probably look bad for someone running for POTUS on an environmental platform. This completely overlooks WDWF's huge decline in hatchery production of salmon--more than 90% down over the past few decades. This was based in-house on department policies, not science-based, and had a huge impact on multiple levels of coastal food webs, and out into nearshore waters. It's a 'manage to extinction' policy for salmon that never should have happened. 63.6F this afternoon in NW Bellingham. 31.9F in NW Bellingham this morning. Forecast minimum temperature at bed time last night was 42F. If we ever really wanted to save the salmon or the orcas, the job would be pretty easy..
Stop commercial fishing/ netting operations. Including tribal. If everyone had to go catch their own fish with a pole, the amount of fish that got to spawn would be huge! Then 10-20 years from now they may be back to more natural population numbers. Of course the chemicals aren't helping.. but I believe the lack return is the key. A relatively quick phone call to WDFW confirmed NO Fall Chinook, a mostly wild run, returned to Bear River in 2018--the river at the south end of Willapa Bay, where a small Chinook salmon must survive all manner of predation while acclimatizing to salt water before migrating into the ocean. These salmon rely on eelgrass for protection from birds above, and other aquatic life in the water. 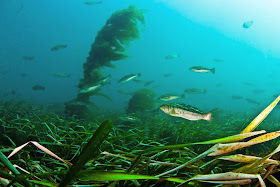 Eelgrass provides hiding habitat, and also a place to eat, as other animals also use this habitat. Burrowing shrimp larvae is also part of the salmon diet, sprayed with carbaryl from 1963 to …what was it…2013? And then imidacloprid in 2014? 2014 was a difficult year for any living thing in Willapa Bay. 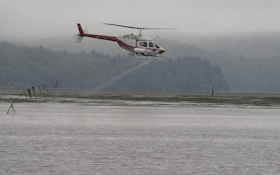 Imazamox was sprayed at a large scale by the shellfish industry to kill the eelgrasses, and imidacloprid, an unapproved pesticide for aquatic use, in fact the label says don’t put it in the water…was sprayed by helicopter in Willapa Bay and Grays Harbor to kill native burrowing shrimp. So, eelgrass (seasonal aquatic vegetation) is one of three preferred habitat for Chinook salmon, one of arguably their most important habitats found in Willapa Bay: Eelgrass beds. Willapa Bay is mostly mudflats and eelgrass beds. 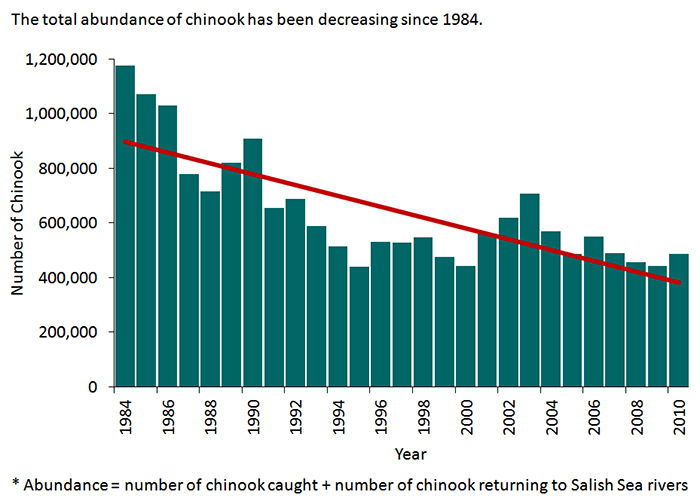 Remove eelgrass, what’s left for the juvenile Chinook? How does a smolt or juvenile salmon hide from predators on a mudflat? What would the 43,000 some odd acres in Willapa Bay be able to nurture without on-going filling in the sensitive nearshore with gravel, to harden the sediments for non-native clam? What would these thousands of once pristine habitat acres look like without poisoning with war-fare level of toxins since 1963? What would this place look like with healthy eelgrass beds, providing places for female herring to lay their eggs, and juvenile salmon to hide and feed in? What would happen to the endangered sturgeon if they could easily get to their prey—the pesticide targeted shrimp, and what would happen to the sturgeon without exposure to pesticides? Regardless, policies such as Grays Harbor Basin Salmon Management and Willapa Bay Salmon Management ARE based on science. Specifically what is known as HSRG, which stands for Hatchery Science Review Group standards. These constitute best available science in fact. For ESA listed salmon, of which there are many, the state had to commit to federal government to apply these scientific standards after the fact. A major policy goal for Grays Harbor and Willapa Bay is to avoid ESA listing. It would make no sense to avoid these standards until ESA arrived, with more restrictive federal supervision and restrictions that arrive with that failed status. Not that I'm a fan of un-naturally selected hatchery fish. 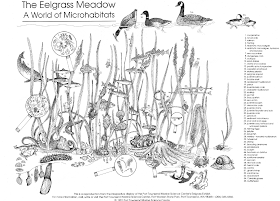 I am submitting a public comment on the NPDES for Japanese Eelgrass Management on Commercial Shellfish Beds Genet-at Permit. I strongly encourage Ecology to issue this permit. As a private tideland owner in Willapa Bay for the past 22 years. I've seen Japanese eelgrass change my recreational clam bed firm a sandy easy- to –access productive bed to an unproductive muddy mess. I've been at a loss on how to recondition the bed into something useful. (Emphasis added) I've worn out rakes trying to clean the Japanese eelgrass out of my bed, all to no avail. Since private tideland owners are not covered by this permit, I would consider converting my bed to a commercial bed just to be covered by this permit and be able to remove the japonica. Which he did do, by leasing it to Northern Oyster Company, representatives that also play a WDFW advisory role in funding studies, including Patten’s. See ethics report linked above. But the state approved the permits that relied on his research even after he commented to them openly as a private tideland owner. The mass media (including the Seattle Times) discussion of the SRKW population also repeatedly fails to address the pinniped population explosion in the Salish Sea over the last several decades. Harbor seals, sea lions, and other pinnipeds eat a lot of salmon, and there are a lot more of these marine mammals than there used to be (thanks in part to the Marine Mammal Protection Act). Recent studies suggest that pinnipeds eat six time as many salmon as they did 40 years ago. I guess big-eyed, furry sea puppies don't make good bad guys. Let's focus on the bigger picture here. We have too many people on this beautiful planet. That forces us out of sustainable modes of food production into the agribiz model which demands lots of chemicals to sustain itself. Those chemicals find their way into our food and the food of other species. Since we are only beginning to understand how all the life on this planet is connected and the role each species play in that web we can destroy with a clear conscience to make room for us. We are like the locust swarms. In addition to eating everything our wastes are toxic and are altering the climate. If we can get the population down to 1 billion there will be plenty of shellfish for all. If we don't then Thomas Malthus's theory will be put to the test during the lifetimes of the children born today. Just my opinion and perhaps somebody will invent a food replicator and I will be proven an alarmist.